Over the weekend before the grass went in, Dad found me outside looking like this. 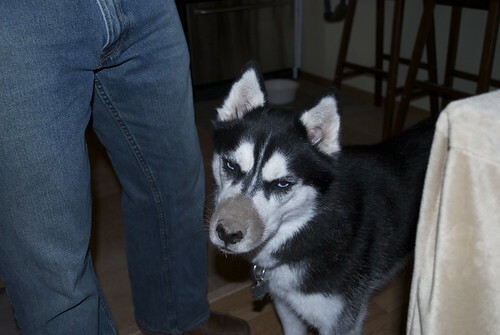 At first, he started to get mad because he thought I had been digging. Then he noticed my paws were all clean. I had just been pushing my nose throught the dirt. The landscapers brought in some new dirt for Mom to plant flowers in and it wasn't packed down, so I thought maybe I could do some work of my own! 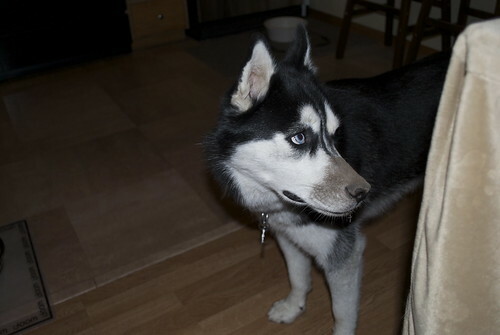 I gave Dad an annoyed look to show that I wasn't happy about being wrongly accused.